castle is a fortified building or set of buildings used to provide permanent or temporary protection and accomodation for kings and queens or important noblemen and their families. The term castle usually refers to stone buildings constructed during the Medieval period. The castle provided the centre for political and administrative power for the region. 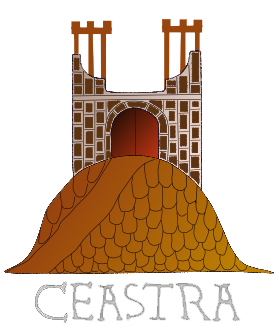 The term castle can also apply to ancient fortresses and to the towers built at the front and back of Medieval ships from which archers could shoot arrows. Why did kings, barons and their families and supporters feel the need to live in castles during the medieval period? There are three main reasons why a king or baron may have wanted to live in castle. The size, shape and construction of castles evolved from simple wooden stockades to huge stone fortresses and then to private residences. The castles described on this page are not medieval. They were built between one and three thousand years before the medieval period but it's important to understand why and where they were built as many still exist today and were reused in medieval times. The Normans built large numbers of castles shortly after the Norman Invasion to control the people of Britain. Disscover what are the key characteristics of the late Saxon and early Norman medieval castles. Including bank and ditches, palisades and the keep. 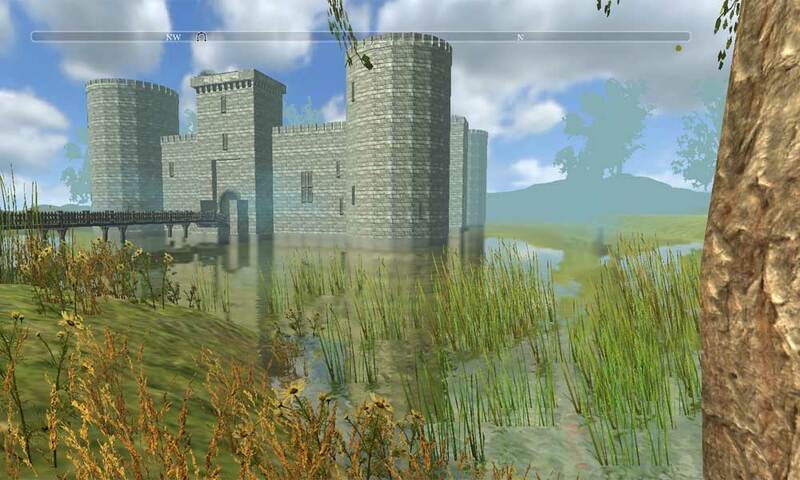 These castles were the prefered design for the Normans as they were relatively easy and quick to build. To successfully attack the Welsh in the north of the country, Edward had to have a strong supply line for his army. Invaders of Wales had always found it hard to subdue the Welsh because it was easy for the Welsh to use the mountainous terrain to cut off attacking armies from their supplies. The concentric castle is effectively two castles in one. A concentric castle has an outer wall with a gatehouse as in an ordinary castle, but it also has one or more inner walls with one or more gatehouses. Wooden motte and bailey castles were strengthened by building stone walls around the top of the motte or by totally enclosing the motte with stone. One of the most important types of building during the reigns of William the Conqueror and William Rufus were the Norman keeps. Huge rectangular construction built to protect the Norman invaders. The fashion for polygonal keeps began towards the end of the twelfth century (1160 onwards). The trend for this new type of keep began in Europe and was soon copied in England by Henry II. 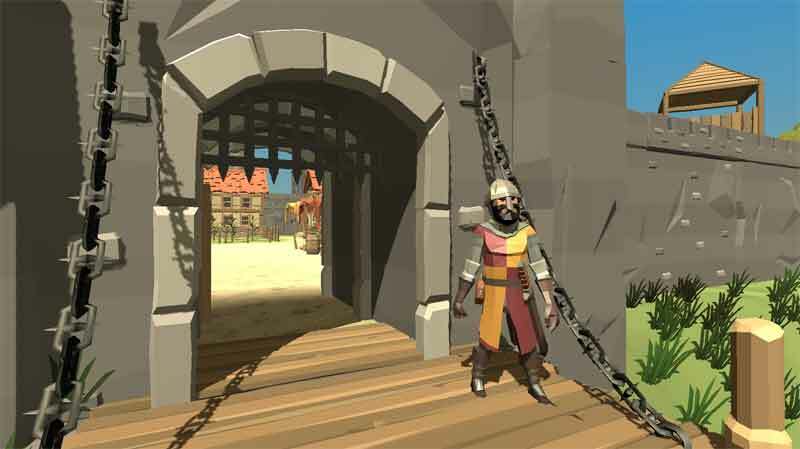 Methods used to attack and capture a medieval castle. 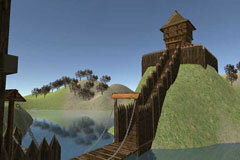 Large wooden siege engines used to destroy castle walls. 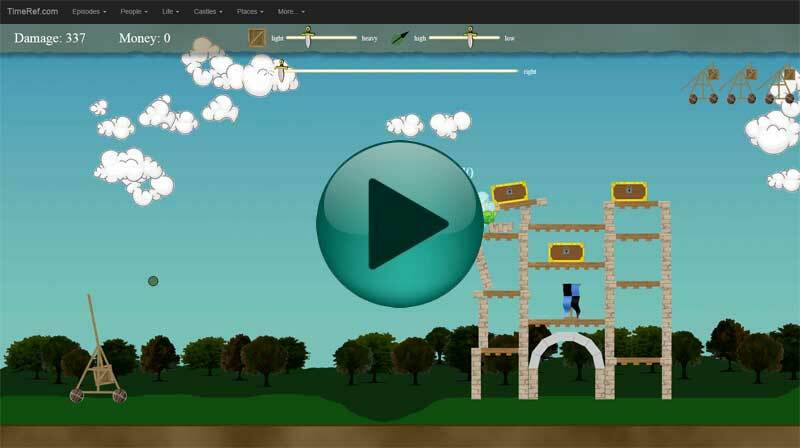 Click the trebuchet or press the space bar to launch the projectile. To get the best result wait for the basket to swing back to the left. 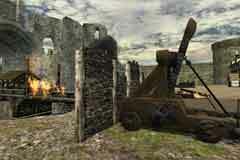 The trebuchet will reload automatically after each shot. The game have been tested on desktop IE10, IE11, Chrome and Firefox. It may not work on mobile or other browsers. This game in under development and will be improved at a later date. A look at the parts that make up a medieval castle. 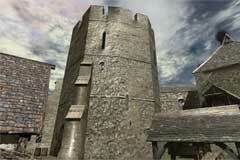 The men that designed and built the Medieval castles had reached the top of their profession. They were paid large sums of money and were highly respected by the Medieval Kings. 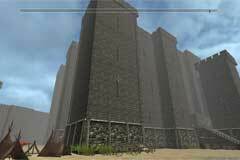 A detailed list of over 300 castles ordered alphabetically. A detailed list of over 300 castles arranged by UK county.